There’s a serious gender gap when it comes to media and technology. That’s why PBS MediaShift and the Reed College of Media at West Virginia University will convene a bi-coastal gathering of women to help students build their skills at WVU, and to brainstorm on ways to bridge the gap in Silicon Valley. Taking place on October 24 to 26, 2014, the weekend will kick off Friday evening with a discussion among top women in media and tech hosted by Google in Mountain View, Calif., and moderated by Amy Webb. That discussion will be beamed into WVU, where a group of female students, faculty and professionals will watch the proceedings. Then at WVU, the students will break into teams to create their own startup ideas around wearables, presenting them to judges on Sunday. The weekend event will begin a year of exploration of the state of the digital divide at WVU Reed College of Media, with the launch of its Innovation Lab during the Hackathon. The Silicon Valley panel will interact via Twitter and live-stream with the Hackathon in West Virginia to enable a dynamic conversation between the young women and the panel, as well as with audience members and digital participants. The Hackathon will focus on “wearables,” and their impact across the entire journalism enterprise – from content creation and acquisition, privacy and ethics, to production, distribution and audience building. Currently, wearables remain an open, early market, so early users (and developers) have the opportunity to shape its future. Hilary Topper is the President and CEO of HJMT Public Relations Inc., a full-service public relations/social media agency that loves attention. Her firm, conceived in 1992 and located in NYC and Long Island, serves a variety of clients in the technology, health care, energy and non-profit fields. In addition to her firm, she is the content creator of two blogs – HilaryTopper.com and ARunnersDiary.com. She also has three shows: “Wearable On Air,” which is a live Google Hangout where she interviews CEOs of top wearable companies around the country; “Tech News Now,” where she reviews technology and wearable products; and “Hilary Topper On Air” on Blogtalk Radio, where she interviews CEOs and targets small business owners. She is the author of Everything You Ever Wanted to Know About Social Media, which was published in 2009, and is a first generation Google Glass explorer. Umbreen Bhatti is a lawyer and journalism entrepreneur with a passion for making law easier to understand and our justice system easier to access. Most recently, she was a 2014 John S. Knight Fellow at Stanford University, where she created Briefly.TV to connect TV journalists with powerful, untold stories about our legal system. Prior to her fellowship, she co-founded and ran islawmix.org, a nonprofit effort to demystify Islamic law in American news media. 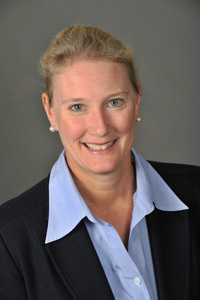 Mindy Walls is a visiting associate professor in The Davis College of Agriculture, Natural Resources and Design at West Virginia University where serves as interim director of the Environmental and Energy Resource Management program and assists with the Energy Land Management program. She is also business consultant and executive coach focusing on strategy, communication, and business planning and development. She is the architect of the West Virginia Statewide Collegiate Business Plan Competition and developed the academic minor in entrepreneurship. Walls is the Senior Director of Corporate Development at Chesapeake Energy. She currently serves as a member of the Tamarack Foundation, State Small Business Development Centers, and Monongalia, Preston BB&T advisory boards. She was recognized in 2011 by the SBA as the State Financial Champion for Small Business. From the students, faculty and pros assembled, we’ll create “dream teams” with a mix of necessary disciplines — content, design, technology and business — who will learn to work together in the crucible of the Hackathon. The weekend will be a combination of focused talks and training from innovation leaders and experts, work sessions and final presentations of solutions from each team. Faculty and industry experts will provide expertise to each team and help them rapidly develop their product or concept. Teams will envision, map and pitch a startup use for Google Glass or other wearable tech that can deliver a singular idea, product, service, or process to solve a problem in the media industry. Rather than be a traditional Hackathon focused on coding and building, this one will be about collaboration, team-building and entrepreneurship. UPDATE: Fast Company has written up a great preview of the Hackathon and Google panel! 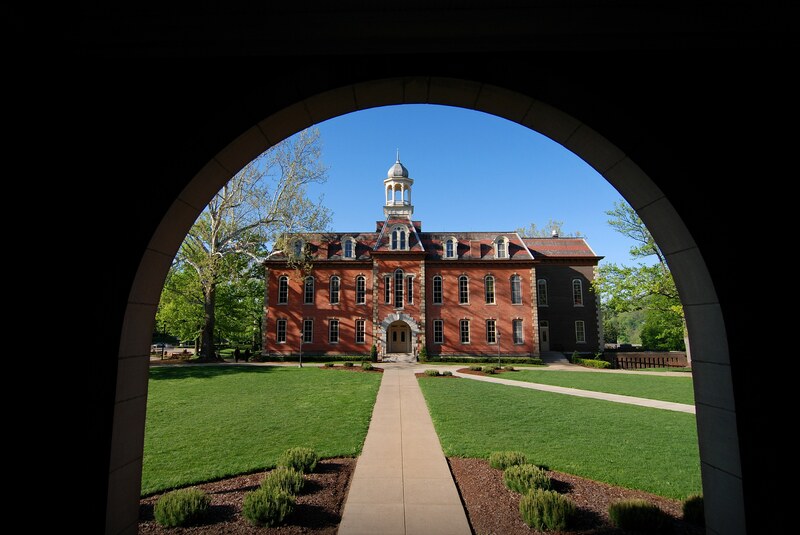 The Hackathon will be hosted by the Reed College of Media in West Virginia University, bringing in college-age women from the region and around the country to invent and envision their role and influence in an emerging technology market. The emerging market the Hackathon will focus on is wearables, and the event will include a crash course in Glass and other wearable tech. 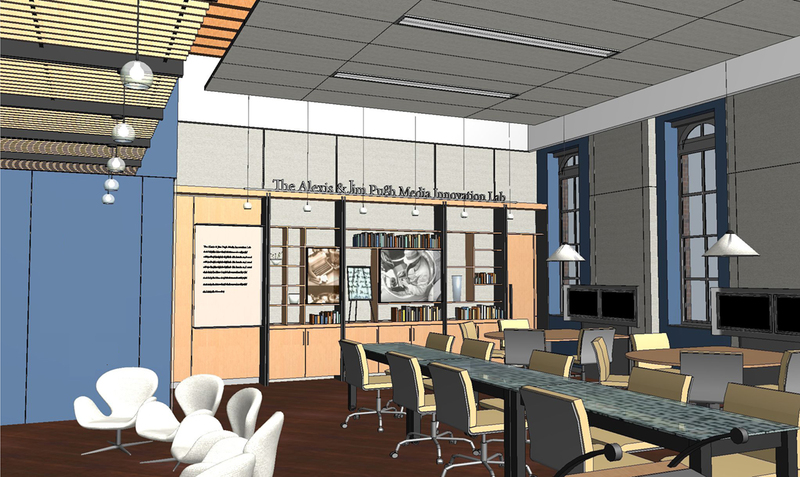 Part of the program will take place in the new Innovation Lab at the Reed College of Media (see concept picture, below). Early bird registration costs $99 for faculty and professionals, $49 for students and a 10% discount for groups of 5 or more participants (plus Eventbrite fees). Early bird deadline is September 26! Then rates go up to $109 for professionals and $59 for students. The discussion will be limited to 80 participants and is invite-only for women in media and technology. If you’d like to request an invite, please email mediashift [at] pbs [dot] org and describe your background and interest in the subject. Hackathon: 7 pm Eastern Time at WVU Reed College of Media on October 24, 2014, until 2 pm Sunday, October 26, 2014. The Hackathon is sponsored by Mozilla OpenNews. OpenNews connects a global network of developers, journalists, makers and hackers to collaborate on innovative code and new ideas. We believe a community of peers working, learning and solving problems together can create the tools journalism needs to thrive on the open Web. Keep up with that community via our website Source.